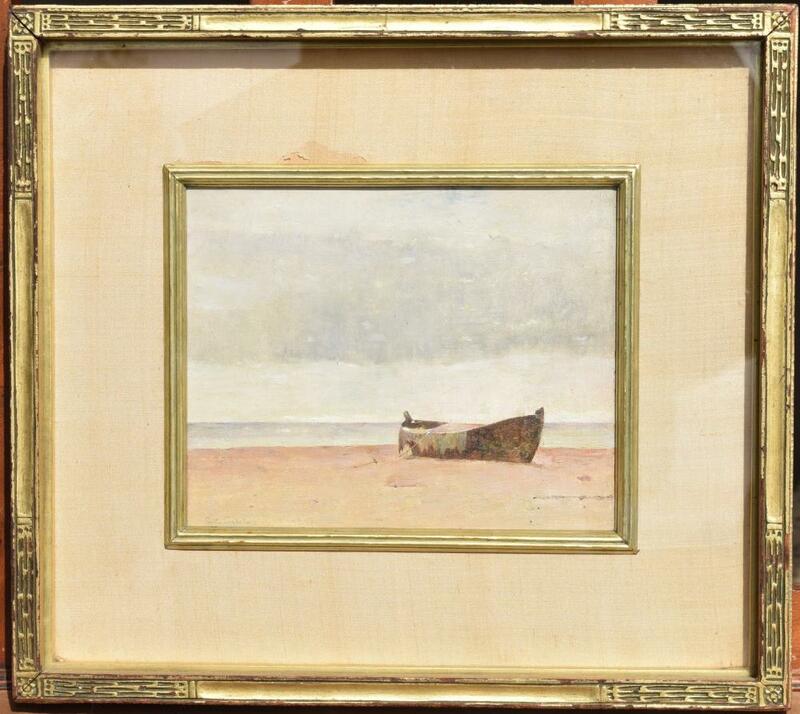 Emil Carlsen : The dory, ca.1910. Marking type: Faded and dirty horizontal rectangular gallery label with typewritten text surrounded by a double border of red. Location: Top center verso stretcher. 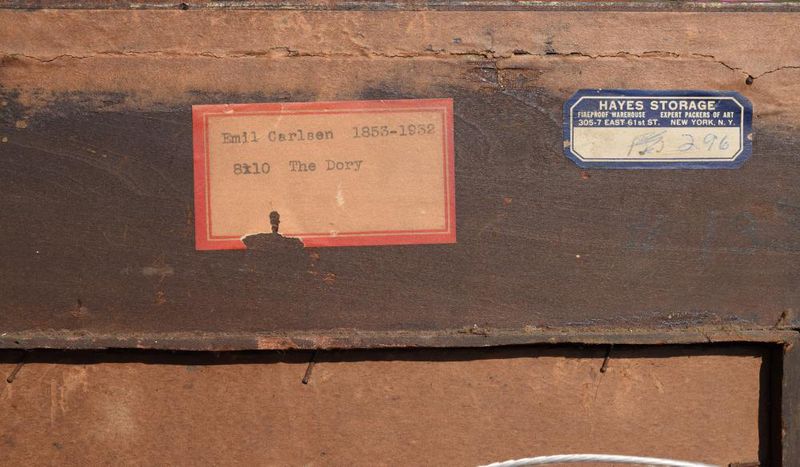 Text: ‘Emil Carlsen 1853-1932 / 8×10 The Dory’. Marking type: Horizontal octagonal faded storage label with blue print and white border with white knock-out type. Text: ‘HAYES STORAGE / FIREPROOF WAREHOUSE / EXPERT PACKERS OF ART / 305 [dot] 7 EAST 61st ST. / NEW YORK, N.Y. / [cross out] 296’. 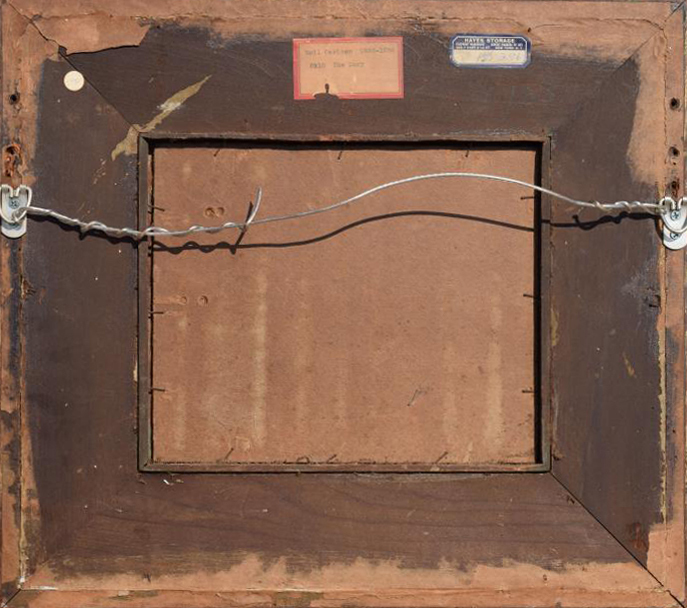 2019 Shannon’s [1997- ], Milford, CT, “Fine art auction”, May 9. 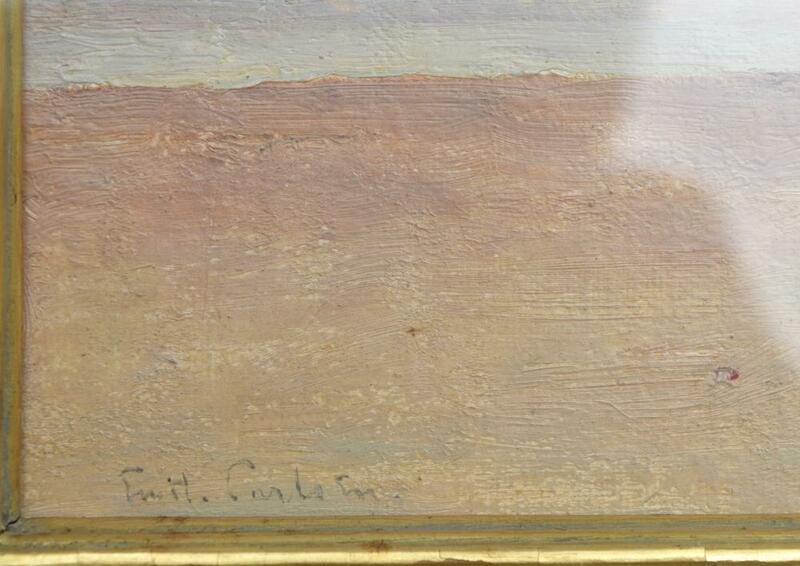 – Shannon’s [1997- ], Milford, CT, “Fine art auction”, May 9, 2019, lot #6, illustrated : color [online].